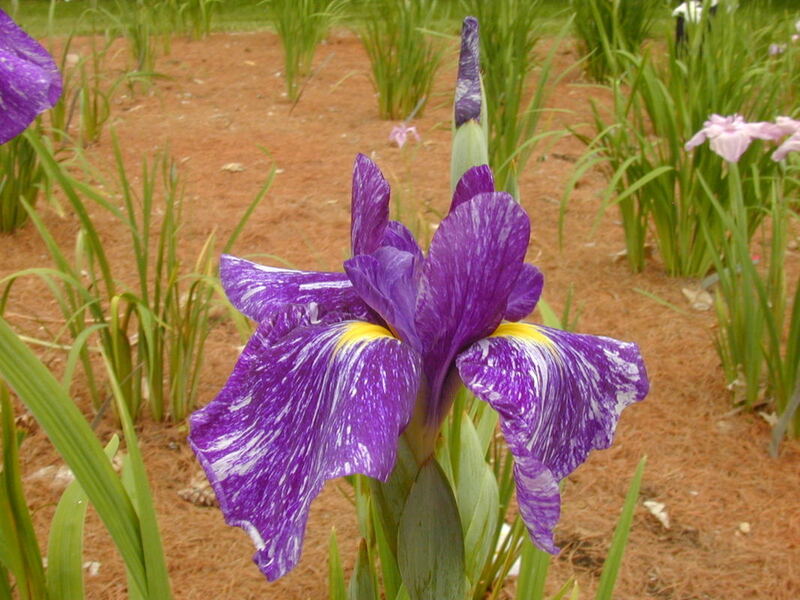 A marvelous flower of a new red-purple color. 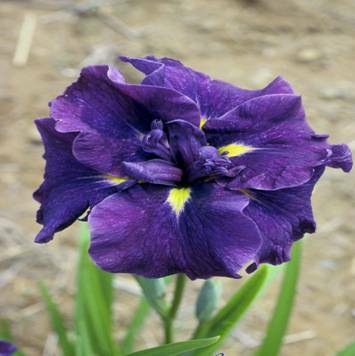 Flowers have 4½" round falls of excellent semi-flaring, modestly ruffled form with a vibrant velvety texture. 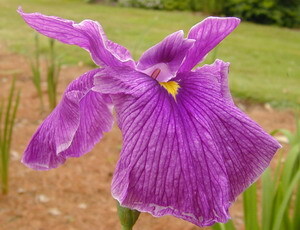 8" red-violet flowers with dark veins and styles. 4" falls are enhanced by a light narrow edging. 2 branches, 4 to 5 buds. Bloom extends 12 weeks. 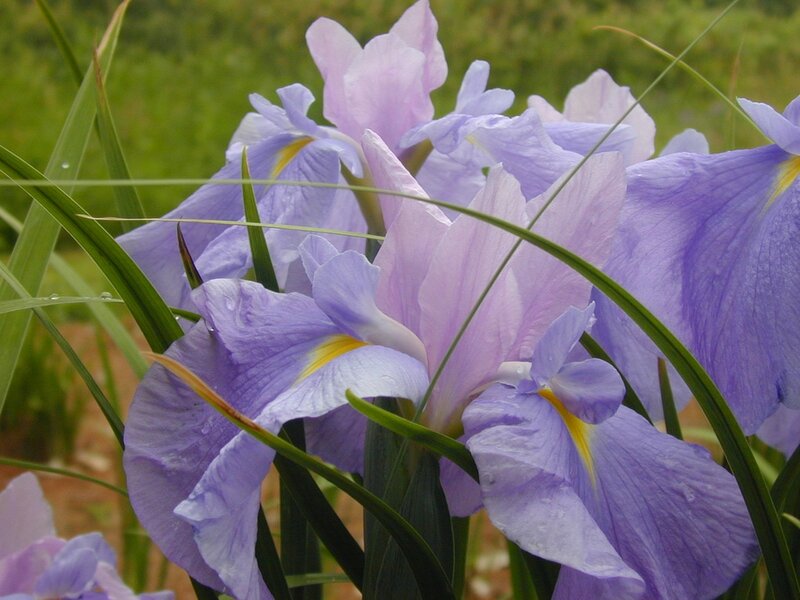 Reminiscent of a child's lavender and pink crepe paper Easter basket. 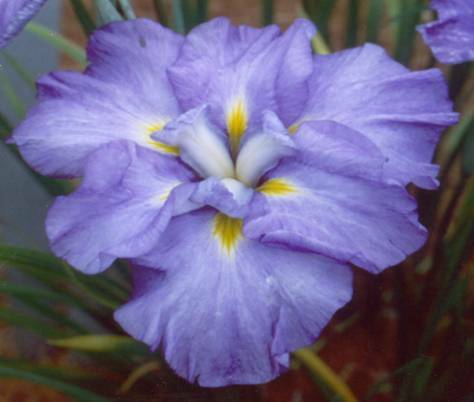 Falls and style crests are soft violet blue, standards and style arms are soft lavender-pink. 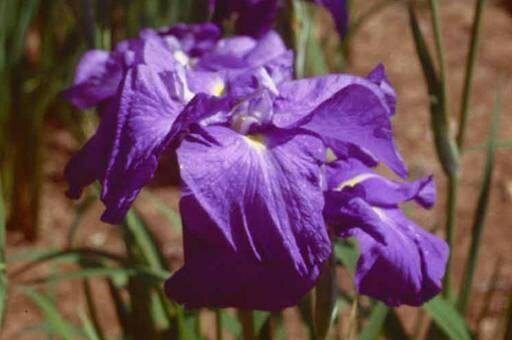 Falls are light violet with dark violet-blue halos surrounding rich yellow signals. 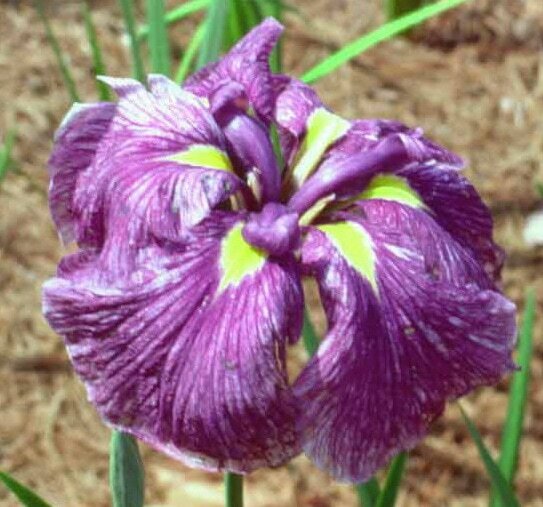 Standards are lighter violet. Excellent arching form, nicely ruffled. 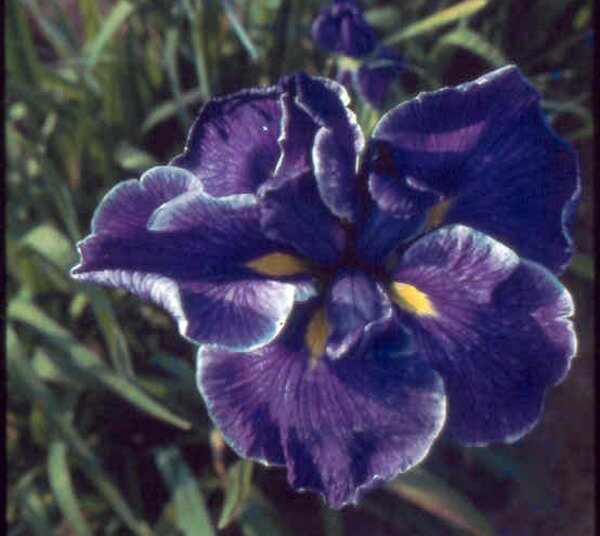 Dark violet blue. 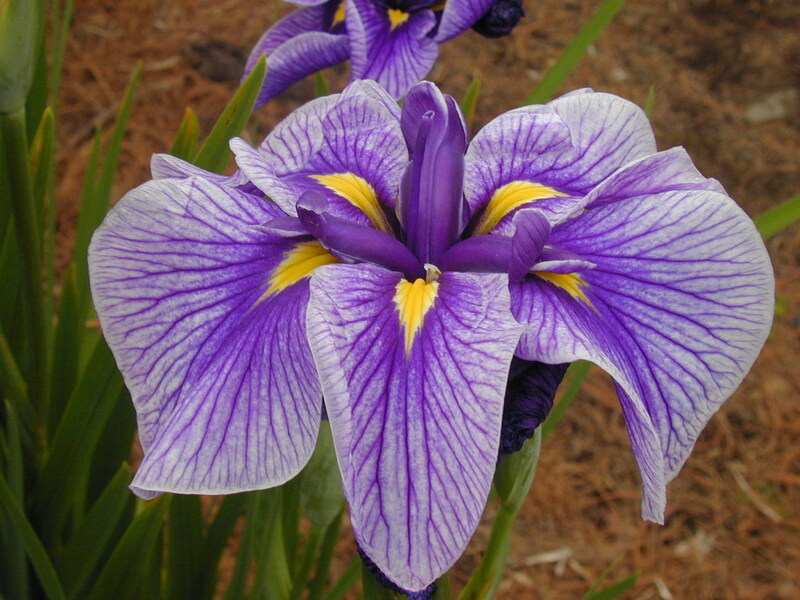 A handsome flower, bloom extends 12 weeks. 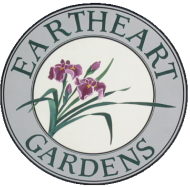 The 7" flowers have white standards and styles edged pink and wide, flaring falls of soft, medium pink surrounding white centers. Two branches. 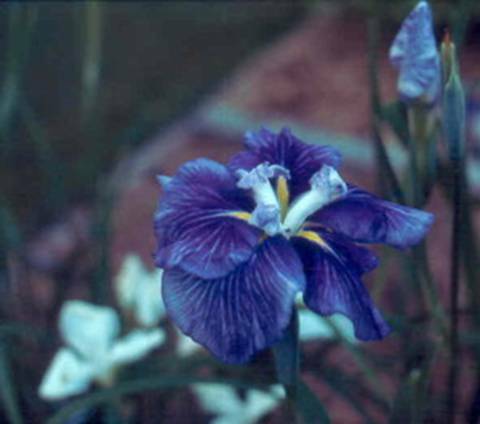 JAPANESE HARMONY: (1994) tetraploid, 32"
7" flowers have violet-blue standards, edges contrasting with pure white styles and round white. 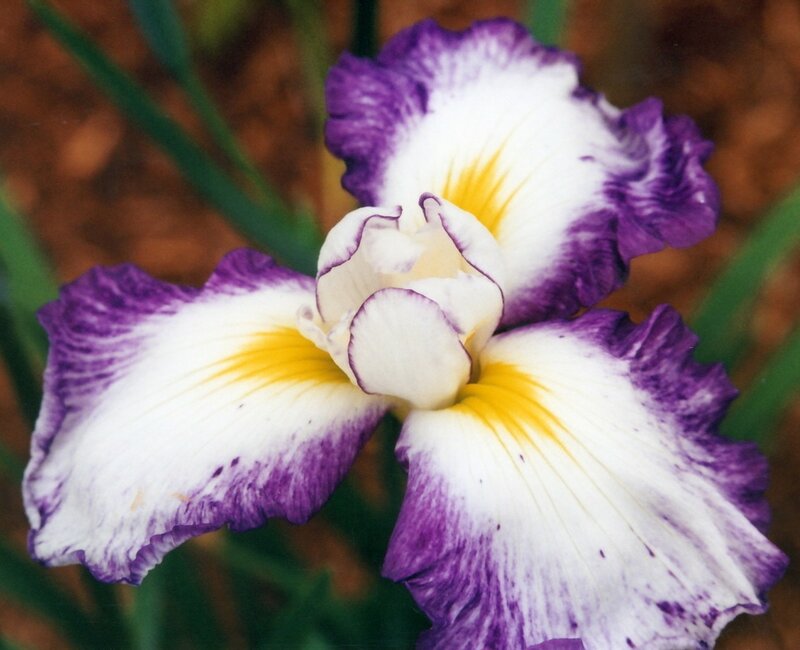 The 8" flowers with a marbled pattern are rich violet-blue heavily splashed with white. 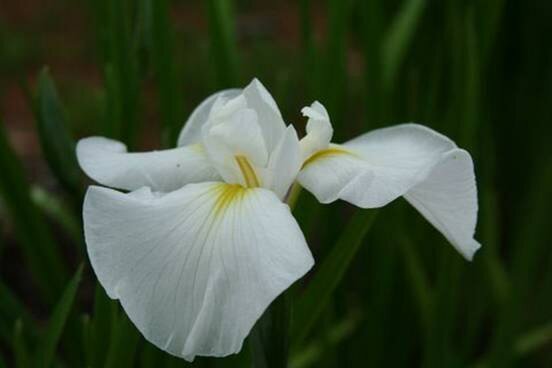 Tall, graceful plants with 3 branches and 8 buds giving a long season of bloom. 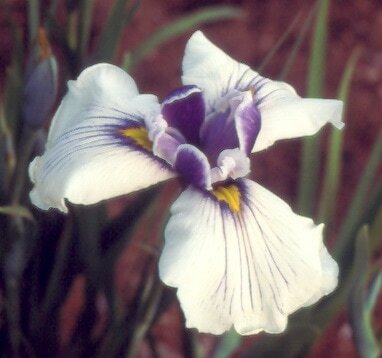 A crisp 8" white flower with violet-blue veins and white styles brushed with violet-blue; yellow signal. Ruffled, arching falls and sturdy tetraploid substance. 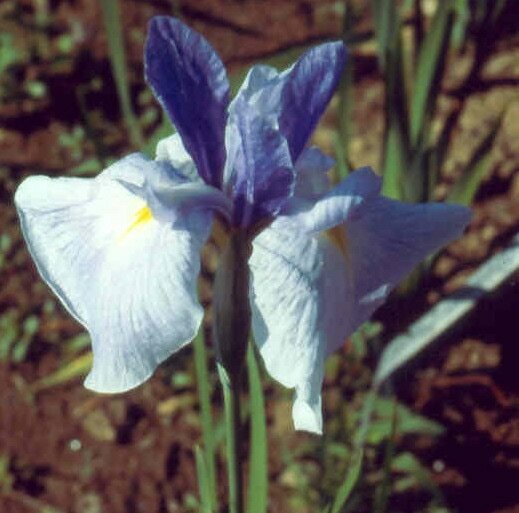 A lovely, delicate 8" lavender flower with a green-yellow signal. Dedicated to Currier?s beloved wife Elisabeth. 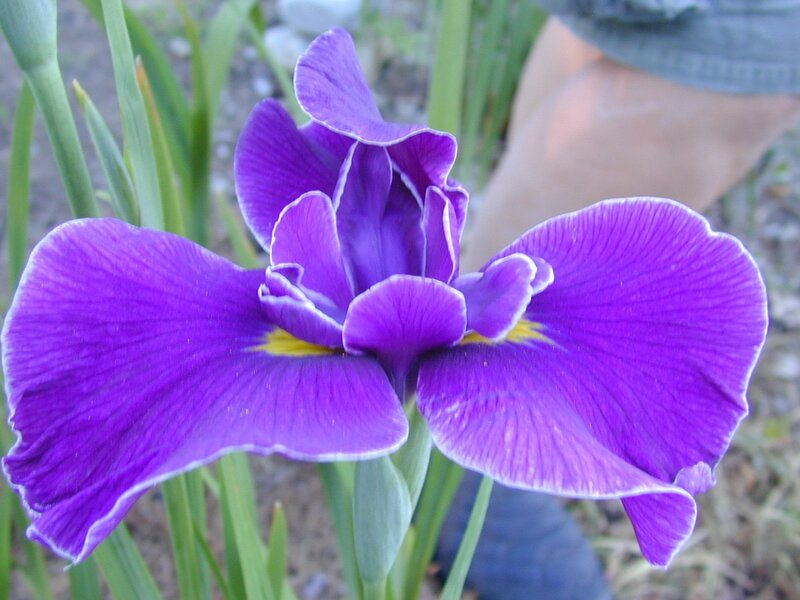 Dark red-purple 8" flowers with darker veins and lighter edges. 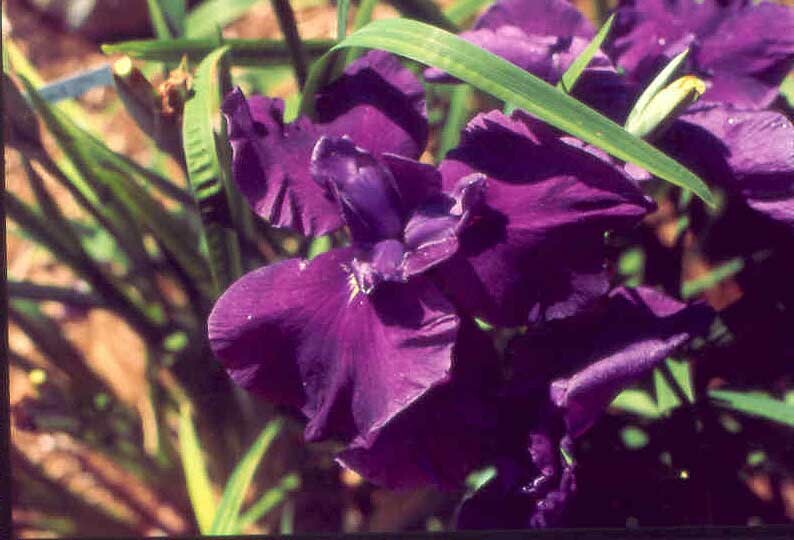 ​OL' MAN RIVER: (1987), diploid, 36"
Medium red-violet, 7" flowers with bloom for up to 12 weeks. Two branches. Great parent! Round, 6" flowers with 9 petals, tufted styles. Outstanding compact form. 1-2 branches. 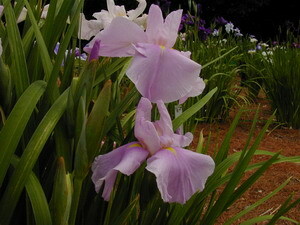 Large, ruffled flowers. Raspberry-red edged falls blend into white centers. 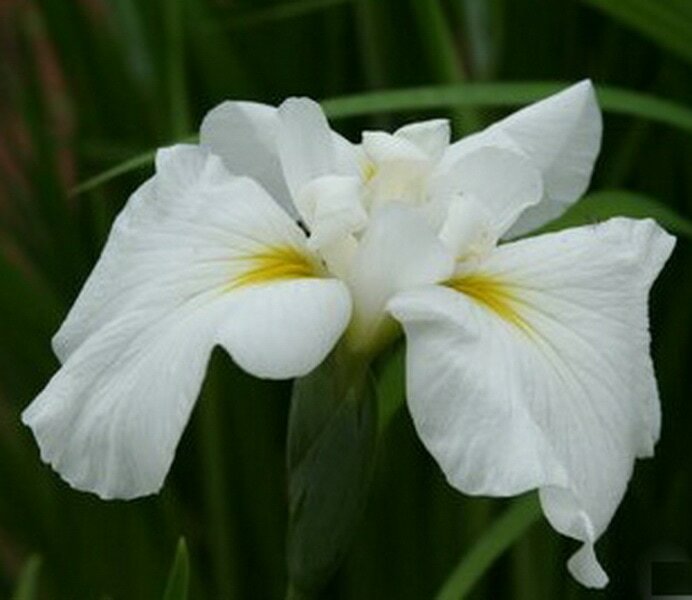 First registered tetraploid Japanese iris. Payne Award 1983. 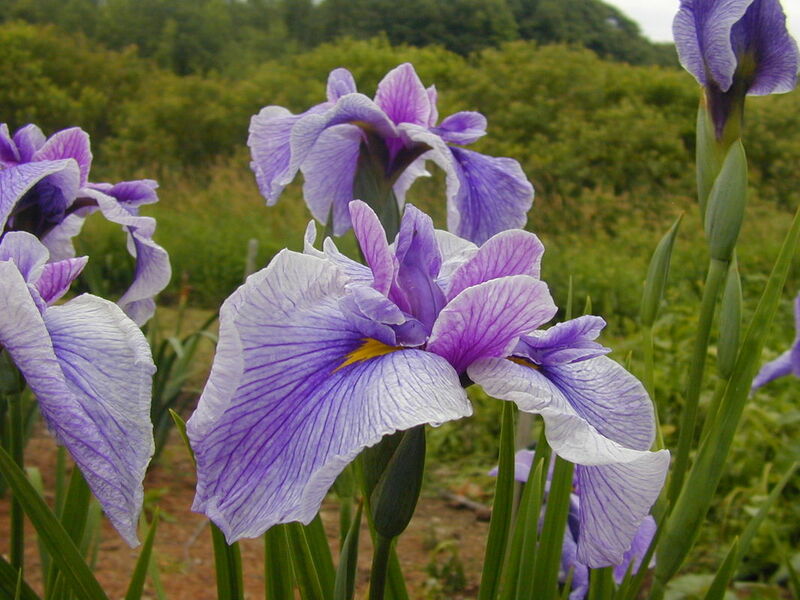 Lovely contrast of medium violet-blue standards above nearly white falls. Fine plant habit and branching. Restful impression. Payne Award 1982. 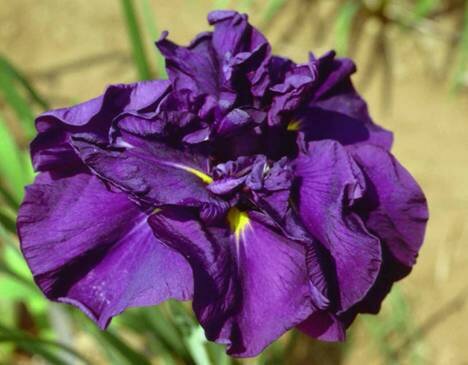 Dark purple-violet with velvety sheen. 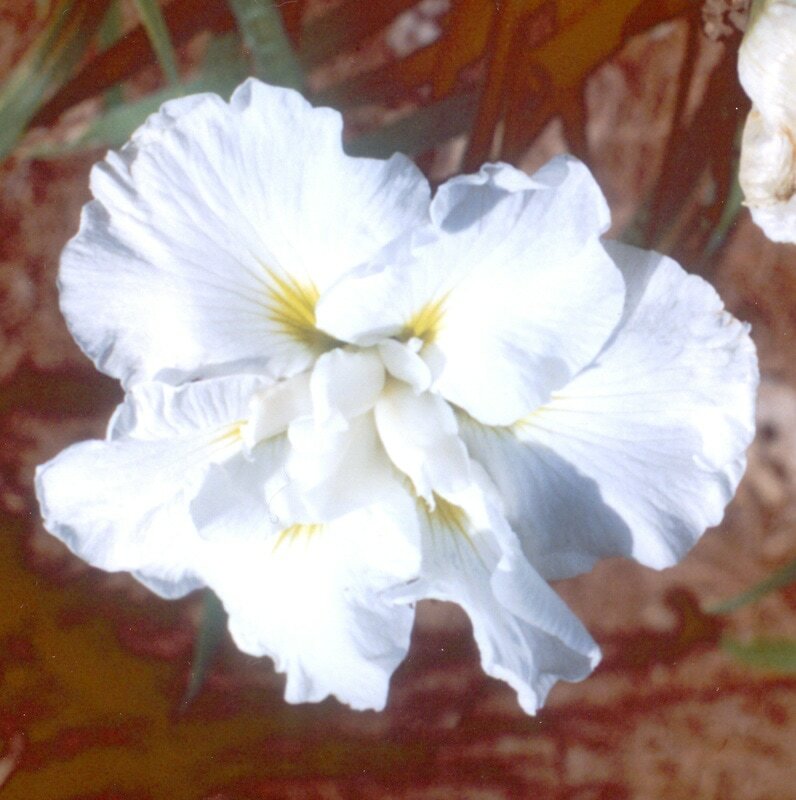 Flowers exhibit powerful tetraploid substance and have ruffled, flaring form. 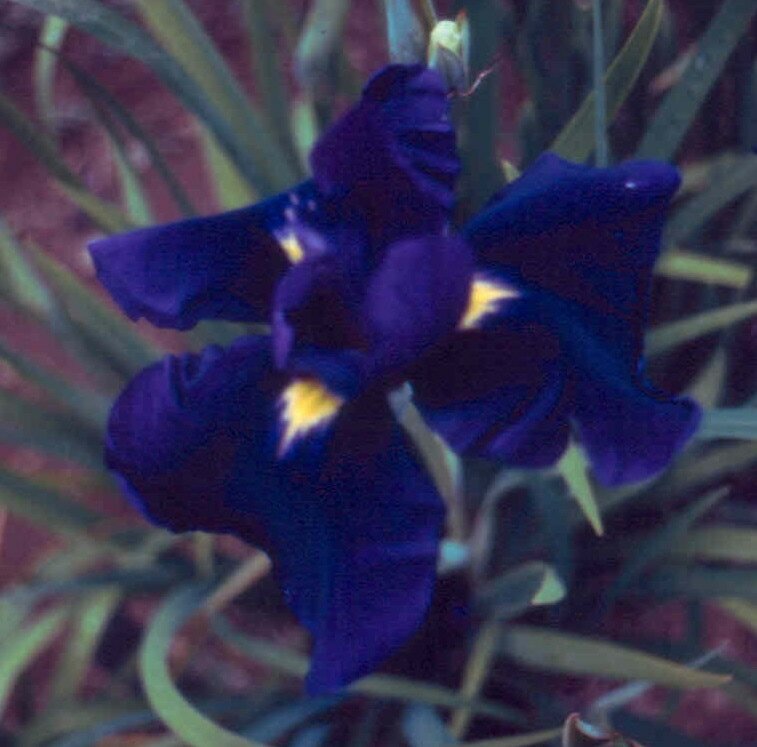 Dark purple standards have darker veins and fine white edges. White falls accented by vivid dark halos, 2 branches. 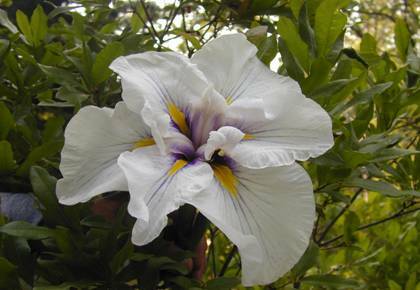 White, ruffled, semi-flaring 6 ½" flowers of excellent form. 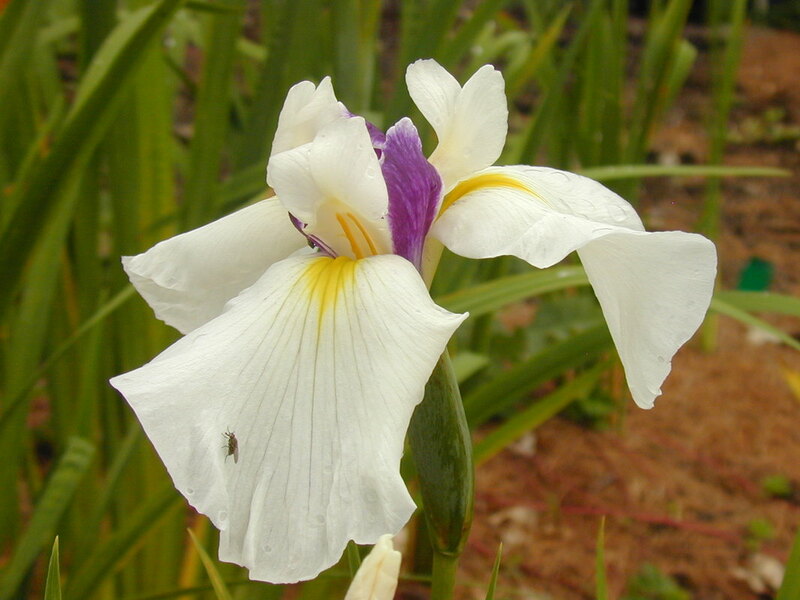 The earliest white Japanese iris to bloom in our gardens. Lovely 7½" flowers with wide, round, flaring falls of tailored elegance. 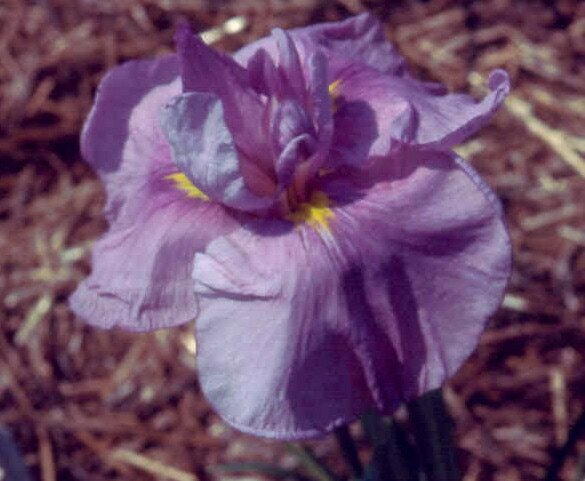 Rosy orchid‑pink overlaid with delicate, widely spaced darker veins. 7" round flowers. True medium blue. 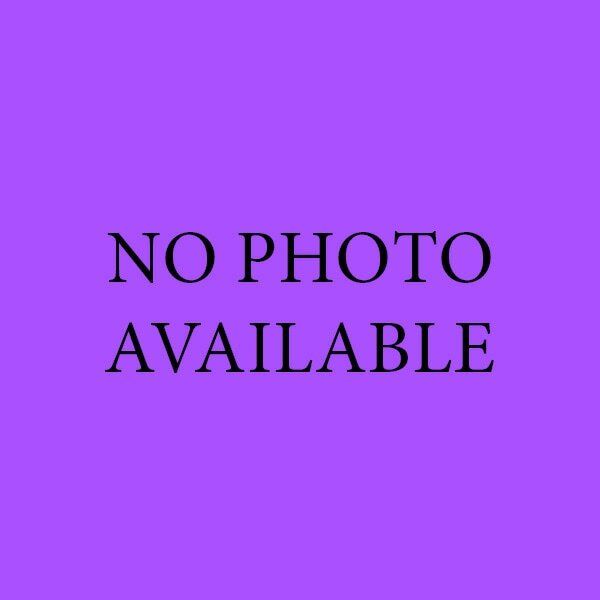 This was Currier's favorite of his blues. Crisp, white falls are accented by the green-yellow signal. 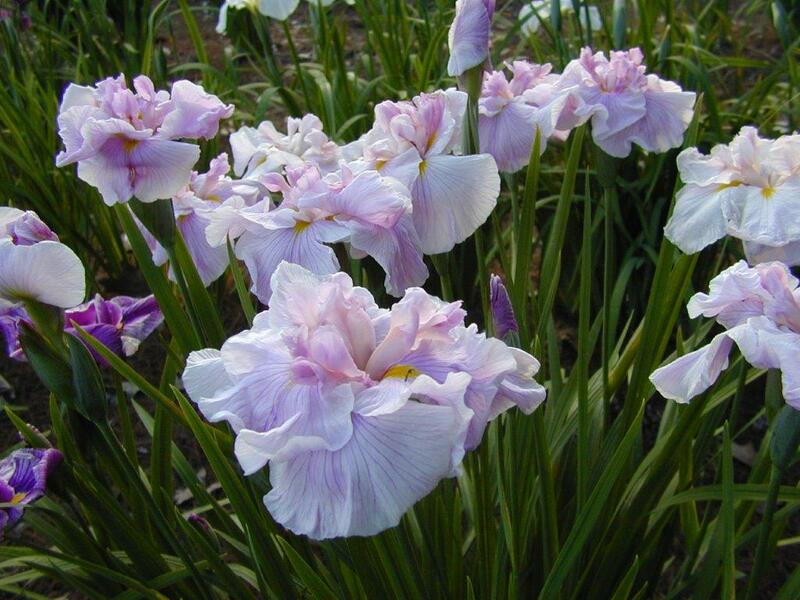 It has tetraploid substance, round, ruffled form and blooms well in the August sun. Arching 7" flowers are carried on 30" well branched stalks. 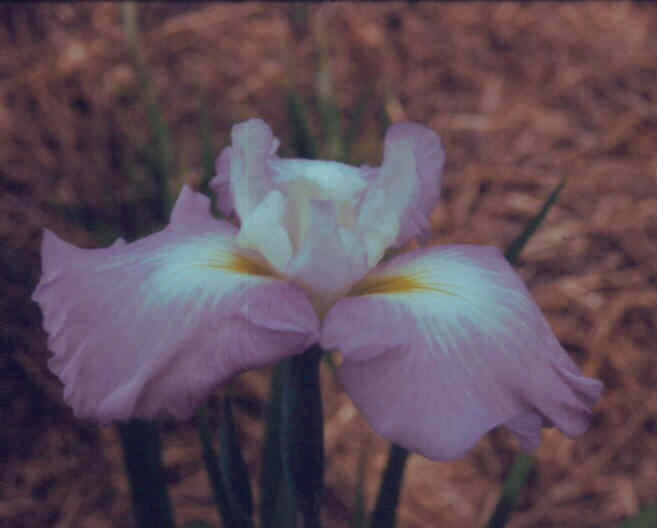 A soft, medium near-pink on day one, lightening by day three giving variations in color in the total clump. 7" white flowers with 4" vertically ached overlapping falls.